That moment when you’re neck-deep in a task, only to learn that a teammate has already completed it. Or when you thought someone else owned a task and they thought you owned it. As you mentally tally the hours of wasted time, your stomach sinks lower and lower. Fortunately, there’s an easy way to safeguard your productivity. It’s called the “daily stand-up”, and high-performing software teams have been doing them for over a decade. The concept is dead-simple. 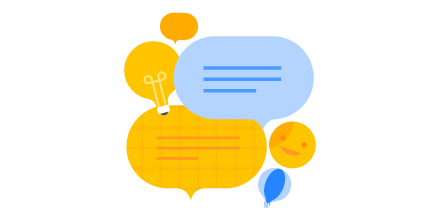 You gather your team for 5–10 minutes to share updates on what each person is working on and what they plan to tackle next. That’s it. In just a few minutes, you’ve insured yourself against duplicated effort and dropped balls. It’s no surprise that coordination and communication within and across teams are critical to productivity. But it’s surprising how hard they are to get right. Consider that 86% of execs, employees, and educators blame ineffective communication for most failures in the workplace. And those failures ain’t cheap. A business with 100 employees loses an average of $528,000 annually clarifying lousy communication. So just throw a few emails at it. Job done, right? Wrong. Workers spend 13 hour each week on emails as it is, and 96% say at least a few of those hours are completely wasted time that make their “real work” workload feel heavier. In other words, more email equals more stress — and stressed-out employees take almost twice as many sick days, and are less productive when they’re in the office. Poor communication and wasted work are toxic for any team — but there’s an easy solution. Stand-ups are a great alternative to email because they’re not just quick, they increase engagement between workers. Plus, they’re fast-paced and high-energy, both of which give the ol’ daily routine a nice shot in the arm. Account for timezones. Stand-ups are traditionally a morning thing but don’t have to be. Include remote teammates. Use video chat if you can, or a speakerphone if video isn’t feasible. Keep it lively. Try going in random order, for example. Toss an object (a hat, a ball, a rubber chicken…) to a teammate to let them know it’s their turn. Raise any blockers you’re facing so your team lead can help remove them. Let stakeholders listen in. But don’t let them participate — this is your time to speak. Sit down. This is supposed to be the fasted meeting ever. Standing discourages you from prattling on. Be inconsistent with the cadence or location. Moving the meeting around causes confusion, which makes people late, which makes it take longer than necessary. If all this sounds far too vanilla for your tastes, try one of these variations. Conduct your stand-up around a task board (e.g., kanban board, Trello board) and run through each task. Discuss what needs to be done to move each one along, whether it makes sense for someone to help out, and roughly how much work is remaining. Instead of using the 10 minutes to update each other on the status of your work, use it to share tricks of the trade or that cool article you read this morning on the train. If nobody has anything to share on a given day, you can always dig into some data — how are you tracking on your OKRs? any interesting spikes in traffic to your site lately? If your stand-up includes a mixture of remote and co-located people, take a page from the folks at Trello: have everyone join the meeting via video conference. This levels the playing field in terms of how easy it is to hear and participate. Being transparent about what you’re working on is the easiest way to ensure things keep moving smoothly — for everyone. Try a stand-up with your team today. It’s a great way to put the “happy” back in this week’s Friday happy hour. For more ways to keep your team moving right along, check out our top four techniques for opening up communication.